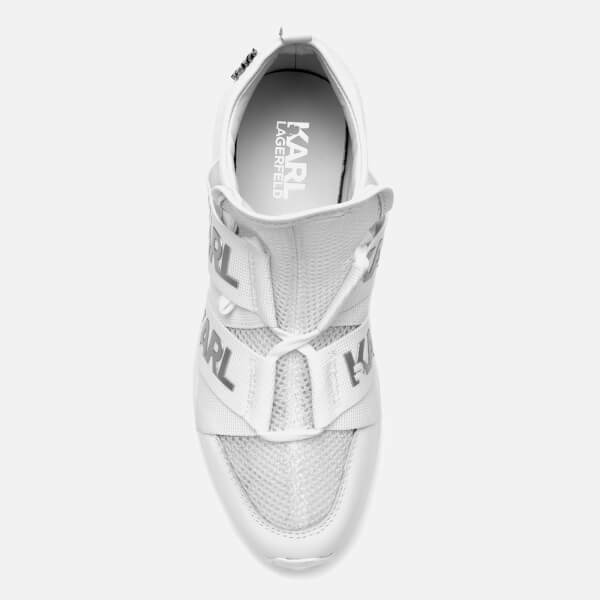 Women’s white running shoes by Karl Lagerfeld. 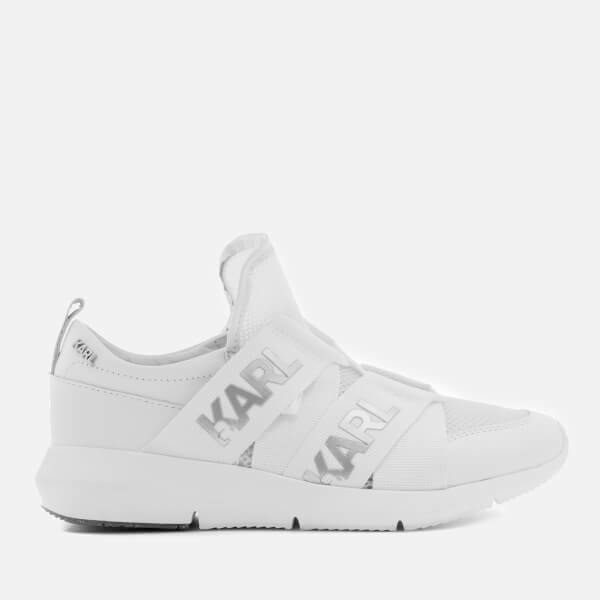 Fusing style with function, the ultra-light monochromatic trainers are cut from soft leather uppers with a breathable techno mesh vamp and tongue. 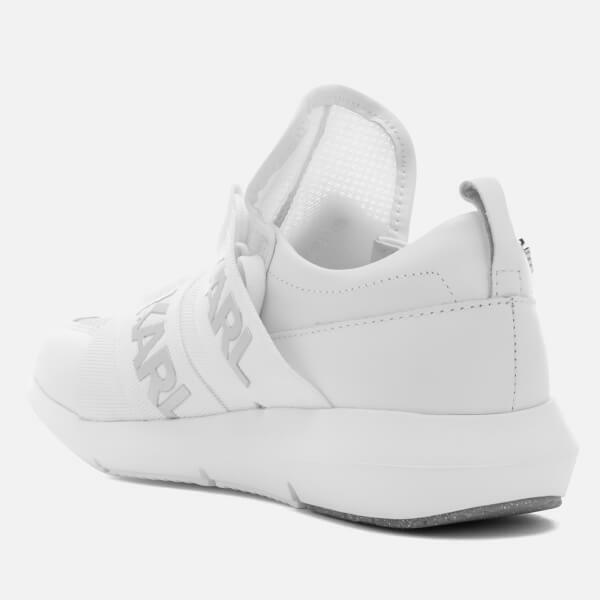 Featuring a round toe and lace-up fastening that loops through white tape emblazoned with the designer’s name, the ‘Vitesse Legere’ shoes are built on a slightly wedged rubber sole. 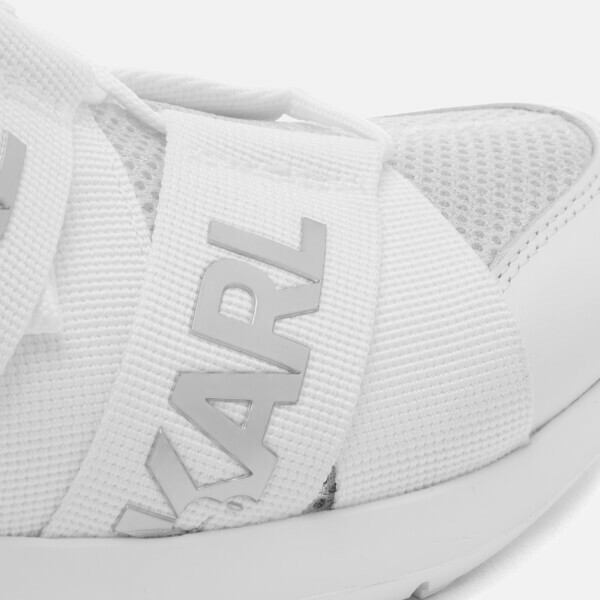 Finished with a pull loop and metal appliqué branding to the outer heel.